Crysten’s yoga journey began in 2010 at onlYoga as a way to cross-train with martial arts. She was drawn to the flexibility and stability yoga offered along with the balance it was creating in her life. She fell in love with how the rhythm of the breath creates a magical dance between the mind and body. Born and raised in NJ, Crysten moved to SC shortly after college and ultimately to Atlanta, GA. Being in the corporate finance world since graduation, she found herself in a lot of demanding, time consuming roles that allowed great professional growth but left her soul unfulfilled and searching. This lead Crysten to embark on a life-long journey for personal growth, through determination, vulnerability, and acceptance. After completing her health coaching certification at IIN, Crysten found herself guided to onlYoga teacher training with John Merideth. 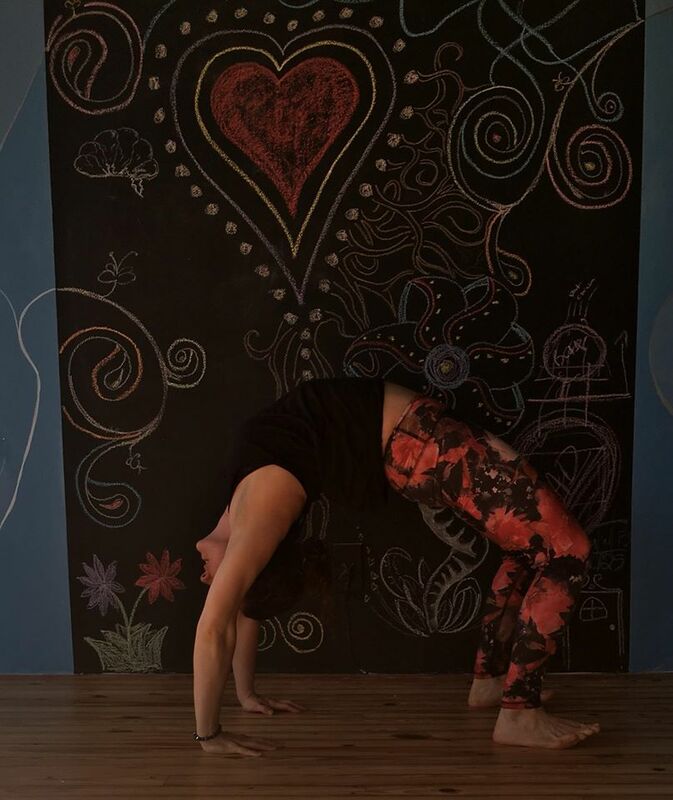 During challenging times Crysten found the connection of yoga by taking her practice off the yoga mat and into her life. Crysten’s overarching mission is to guide those around her to embody your deepest desires; leaving dogma at the door, she encourages you to face your fears and to go deep into what moves you. She wants to share what she has learned along the way and empower you to find what works for you. By taking care of the mind, body, and spirit we can heal our past injuries and prevent new ones. Crysten enjoys Capoeira, surfing, rock climbing, cooking, creating new healthy recipes, riding her bike, spending time with her fur baby Rocky, and volunteering as a coach and mentor for young girls at Girls on the Run.